With a hint of Spring in the air our new Community Coordinator Nicci has been busy organising events in Wellesley Woods! We still have places on the 2pm & 3pm Spring Bird Walks with Ranger Stuart. 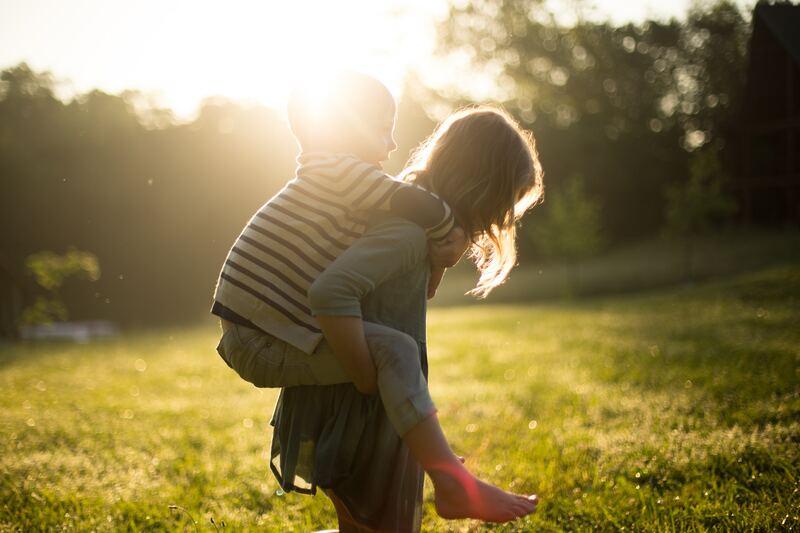 This free, family-friendly walk, which starts at the Wellesley Community Rooms, will introduce you to some of the wild life that lives in Thorn Hill. The walks are free – but please pre-book to reserve your place and avoid disappointment. 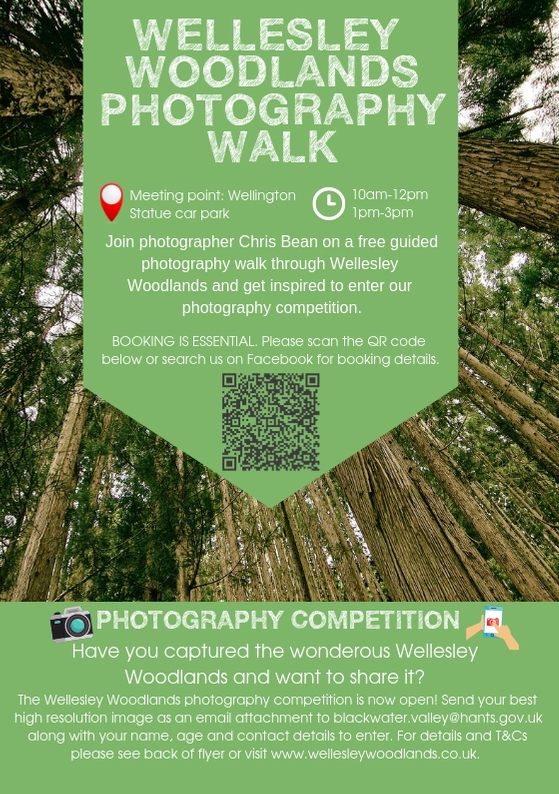 To launch the Wellesley Woods Photography Competition, photographer Chris Bean is leading a free guided photography walk through Wellesley Woodlands. A keen amateur photographer, Chris knows the woodlands well and he will be on-hand to give you hints and tips to help you capture the beauty of the woodlands using your own camera. Please book a place on this informative, free walk as spaces are limited. Mon 15 April – Join us for our famous, free, Easter-Egg Hunt! Whilst you are with us, why not weave a willow nest to keep your chocolate eggs safe for the journey home! Once you’ve eaten the chocolate you can put bird-food in the nest to attract birds to your garden. 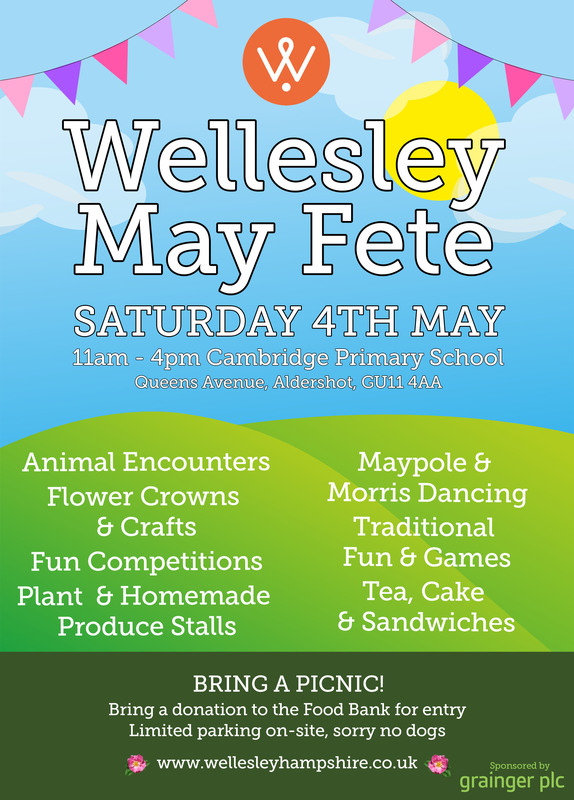 Come along and say hello to us at the first ever Wellesley May Fete! With traditional games, a maypole, morris dancing, flower crown crafts and a cake stall there’s something for everyone. You can find more information on the May Fete here. This entry was posted in Events, Wellesley Woodlands and tagged Bird Watching, Easter, Event, Half Term, photography, School Holidays, walk, Wellesley Woodlands. Bookmark the permalink.